Ever wonder what it’s like to be swallowed whole? You’re about to find out! 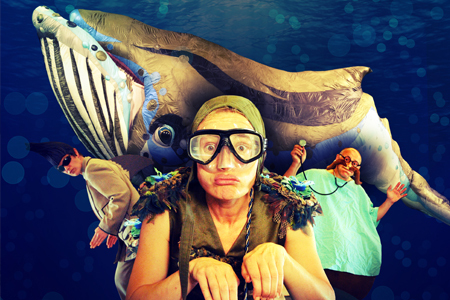 Watch from the shore or immerse yourself in The Whale’s Tale, an interactive spectacle full of slapstick and humour taking you on a rollicking journey that will leave you wanting to make a difference for our oceans. This project was co-commissioned by Arts Centre Melbourne and Windmill Theatre. Tour supported by The Playing Queensland Fund and arTour, initiatives of the Queensland Government through Arts Queensland.